The brand new, lifestyle silhouette is steeped in New Balance heritage. The unit upper combines modern materials, coupled with design elements from iconic New Balance models. The 998 inspired midsole 'Revlite' addition gives exceptional lightweight comfort. Where design details such as the 576 inspired collar strap and 1300 throat pattern keep the 247 truly in the New Balance family. 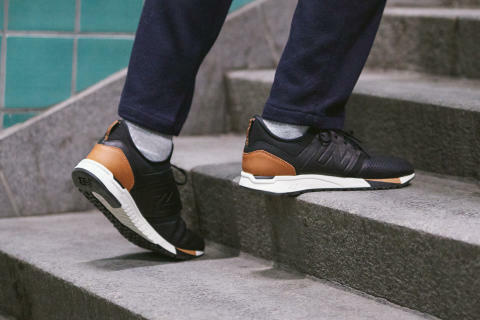 Additional new elements such as the new performance inspired outsole and booty construction add to the comfort levels and the saddle strap increase support and elevate the contemporary look. To launch the new model from New Balance we teamed up with our international stores to showcase each model across London, Paris and Berlin. Starting with a wake up call in London, lunch in Paris and partying in Berlin. Check out the video below to experience 24 hours in the life of Sneakersnstuff embodying everything the New Balance 247 stands for. The New Balance 247 "Luxe Pack" is available online and in our stores in Stockholm, Paris, London and Berlin the 7th of January. Since the opening of the first store and their webshop online in 1999, Swedens Sneakersnstuff has become known as one of the world’s best sneaker stores. Not only do they offer adidas Consortium, Reebok Certified Network, Nike Tier Zero, Asics Platinum, Converse Tier Zero, adidas Yzy, Puma Cream and so on – they are also frequent collaborators with various brands. Over the years well executed collaborations with Asics, Puma, New Balance, adidas, Reebok, Nike, Vans, Converse and more has passed through the doors. And there is always something in the works for future projects. 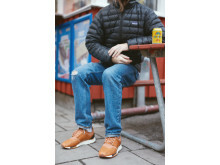 Innan den publiceras måste den godkännas av Sneakersnstuff.